Girls Gone Forex celebrates another graduating class of Girls Gone Forex University. Dallas, TX, September 08, 2018 --(PR.com)-- Girls Gone Forex and Trade Like A Girl Academy continue to excel as one of the top Forex education programs online. This "Girls" Only platform specializes in teaching women how to become savvy Forex investors and disciplined Forex traders. Trade Like A Girl Academy's three phase approach takes prospective Forex traders from beginner to advanced in 6 months. Today, Girls Gone Forex is celebrating their sixth graduating class of female Forex traders since their doors opened in February of 2017. This class of Girls Gone Forex University, like the 150 grads before them achieved a high level of proficiency in technical, fundamental, chart and market analysis and created their own Forex trading strategy and plan. 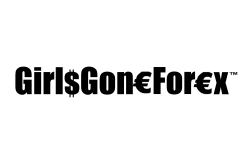 Girls Gone Forex, LLC is a financial education and technology company that specializes in the largest financial market in the world, Forex. The Forex Market has an average daily trading volume of over 5 trillion dollars which is 50 times larger than the New York Stock Exchange. Girls Gone Forex is comprised of three subsidiaries: Trade Like A Girl Foundation, Trade Like A Girl Academy and Invest Like Her. Trade Like A Girl Foundation is a registered 501 (C) 3 nonprofit corporation created for the purpose of educating and empowering disadvantaged women of all ages, races, backgrounds and socioeconomic status globally with the knowledge, skills, mindset and technology necessary to excel in the financial markets. Trade Like A Girl Academy is the education component that consists of a proprietary curriculum and Forex training program designed to turn a student with zero knowledge of the Forex markets into a disciplined Forex trader, a savvy Forex investor and/or an innovative Forex trading programmer. Invest Like Her provides students additional tools, information and education in alternative investments and finance that can improve their financial literacy, sustainability and status.